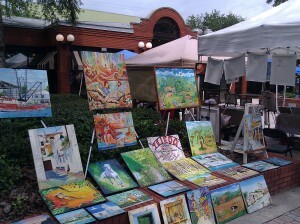 Hosted by City of Tampa’s Parks and Recreation Department, the 2nd annual Arts in the Park festival features artists from around the country along with the weekly Saturday Market. More than $2,000 will be awarded to artists for first, second, third and best of show cash prizes. Live holiday performances will happen in and around Centennial Park and Centro Ybor. Starting at 11 a.m. and continuing through the day, Santa will make appearances in Centennial Park and around Ybor City. Free.